If you are like most conscientious voters, you experienced a tinge of frustration in the recent primary. Your ballot contained a long list of lower-profile races for which you had little information about the candidates. Did you find yourself skipping a race or just settling for the candidate with the most familiar-sounding name? Leaving the decision to your next door neighbor or using the Las Vegas approach are not very responsible methods for electing officials who can dramatically impact your family, freedom and finances. When facing an election with numerous races and candidates, where can you obtain reliable information based on in-depth scrutiny rather than succumbing to the influence of pithy sound bites, skewed campaign collateral, or telegenic faces and names? THSC is equipping Texas voters to make well-reasoned decisions by providing resources and guidance for vetting office-seekers. Dozens of candidates across Texas contacted THSC requesting an endorsement in the recent primary election. An additional round of candidates who made the upcoming May 24th run-off are now seeking THSC’s endorsement. Candidates are first required to complete an extensive questionnaire which must then be validated by a regional vetting committee comprised of THSC member-leaders. 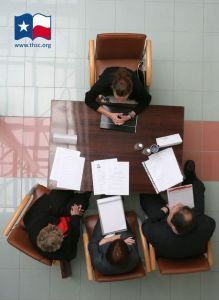 Each THSC Regional Vetting Committee schedules face-to-face private meetings with candidates from that region and recommends to THSC leadership those candidates believed to be worthy of endorsement. Committee recommendations are then compared with other data points and inputs before THSC leadership makes the final endorsement decision. Competent, knowledgeable candidates who understand and have demonstrated commitment to the high priority faith, family, fiscal and freedom issues will receive consideration. There must be sufficient confidence a candidate will do what is right, even when no one is looking, and stand for truth, even when all others remain seated on the throne of compromise. Self-labeling requires definition. If a candidate claims to be a Christian, pro-life, evangelical, fiscal conservative, social conservative, strict constructionist, a parental rights advocate or any other campaign-season label, it is fair game to ask the candidate to elaborate. The veneer often quickly peels away to reveal the lexicon of a moral relativist gripped by the modernist impasse. Committee members give greater consideration to candidates who provide clear, concise and honest responses supported by examples and specifics. Fortunately, candidates and office holders who have trampled on conscience for so long that they have gotten over shame are unlikely to seek an endorsement from THSC. But for those who do, a discerning vetting committee provides an extra filter. Vetting candidates and voting wisely are essential duties in preserving the constitutional republic entrusted to you and your family. In Part 2, we will explore ways your family can interact with and vet candidates in your community in preparation for the upcoming May 7th local elections and May 24th primary run-off. In the meantime, remain engaged in the process and connected to THSC. 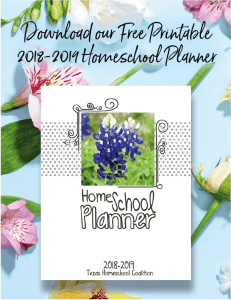 Don and his wife Karen are celebrating their 32nd year of marriage and 20th year home schooling, spanning four children. He believes the best way to teach children stewardship of our freedoms is by showing them and having them learn by doing. Don has served as a city councilman, election judge, precinct chair, regional home school group board member, Teen Court advisor, and THSC Vetting Committee member. Over the past 15 years, he has recruited and helped train numerous students to serve as election clerks and Teen Court staff. Don specializes in growing small and start-up businesses, currently serving as CMO for IDMyPlan. A 7th-generation Texan, Don is committed to defending the freedom of Texans to exercise personal responsibility and parents’ rights to direct the education of their children. where is your list of recommendation for the texas runoff election? Hi, Ronald. You can view our current list of Runoff endorsements at THSC.org/endorsements. There could still be a few that are added before the election on May 24th. Thanks!